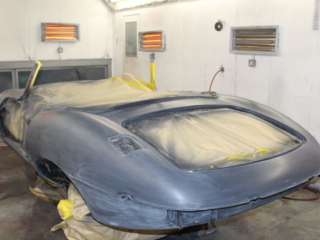 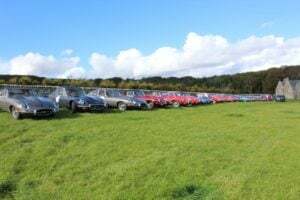 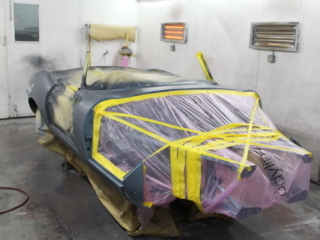 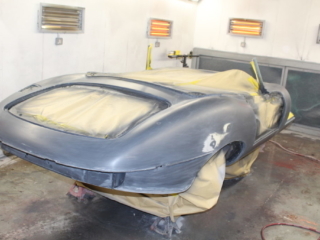 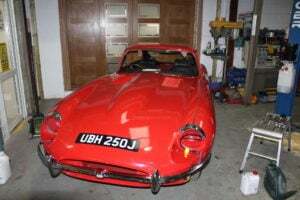 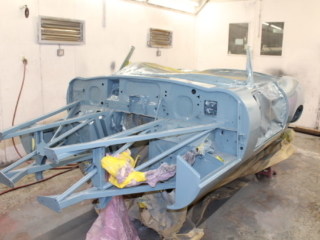 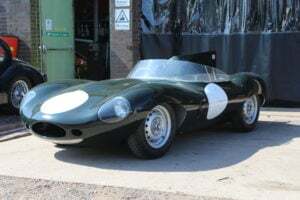 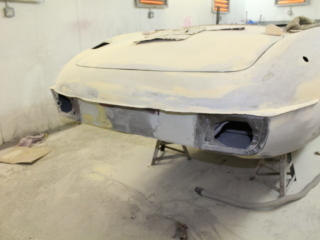 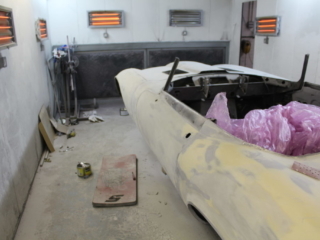 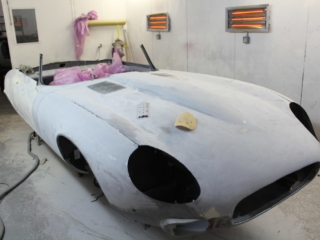 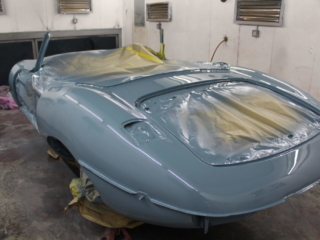 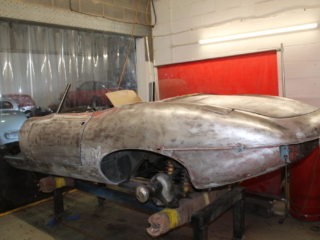 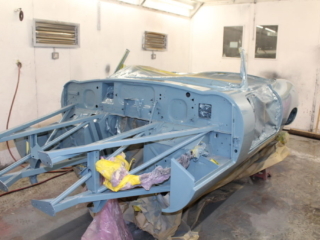 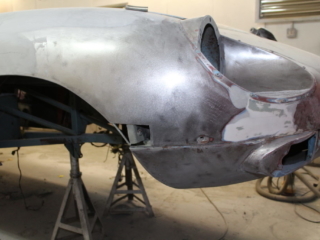 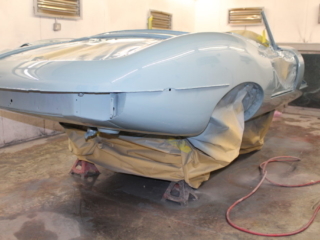 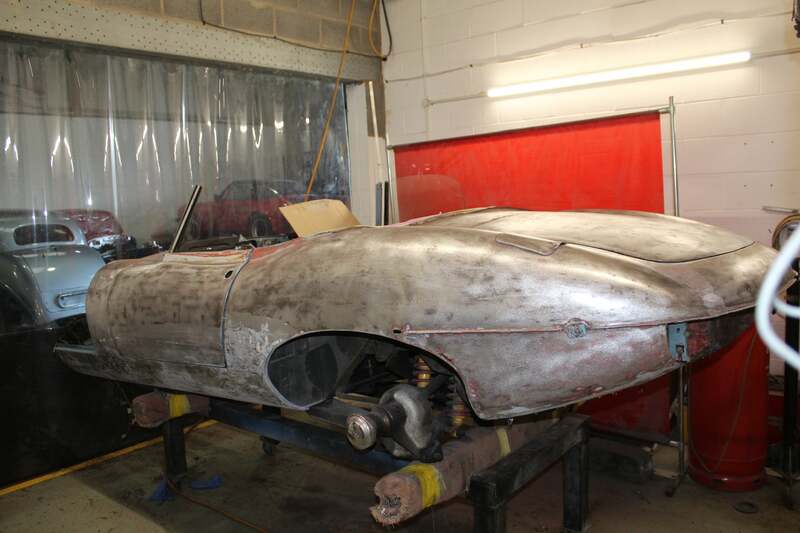 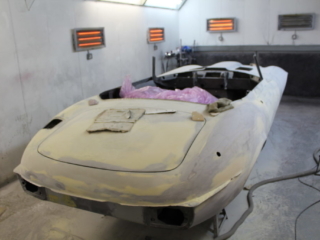 Here we have another beautiful Series II etype Jaguar that has been brought to us for a full bare metal respray plus a new wiring Loom and some other upgrades. 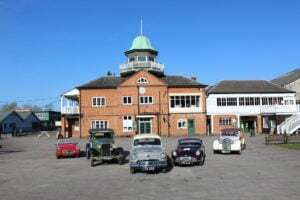 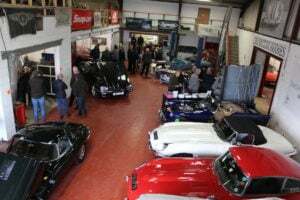 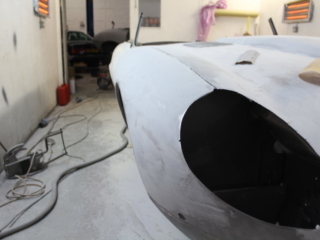 As you can see from the pictures we are already well underway with this one. 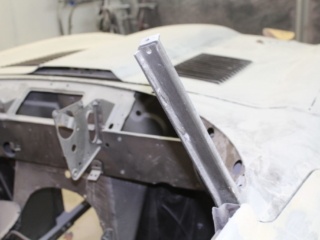 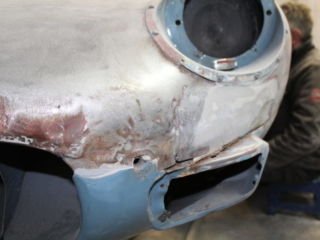 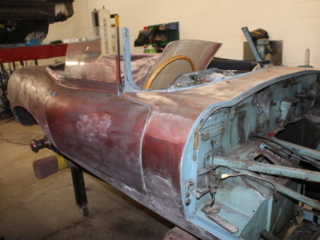 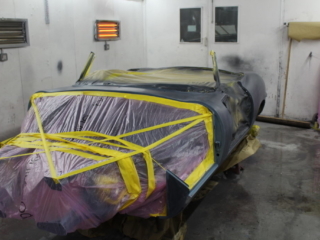 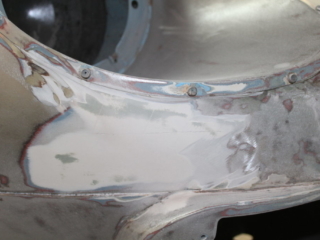 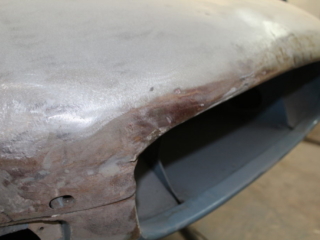 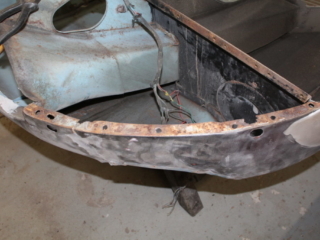 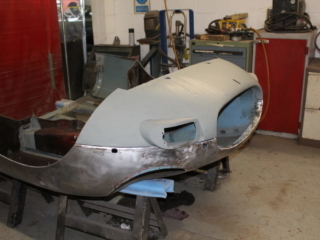 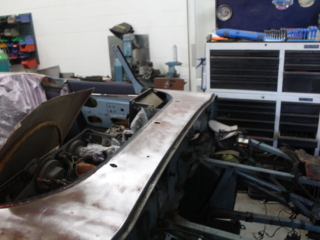 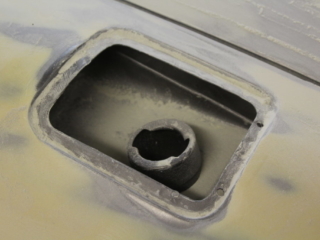 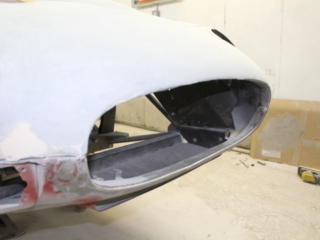 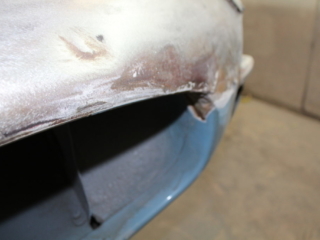 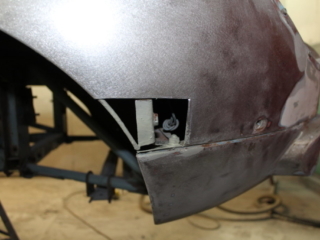 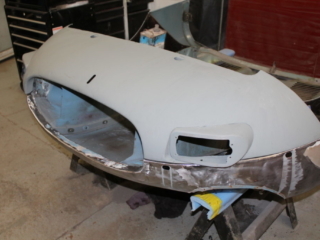 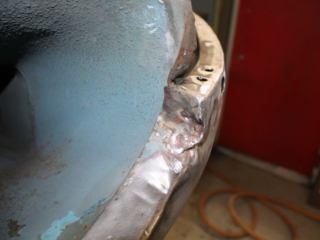 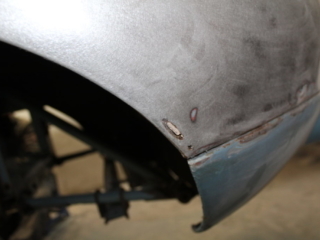 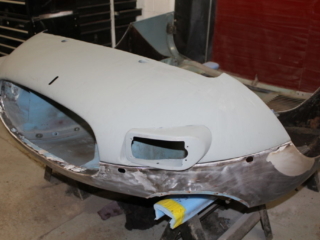 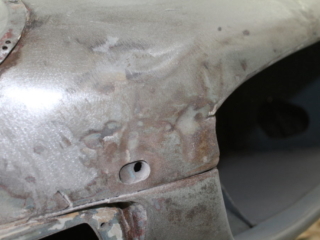 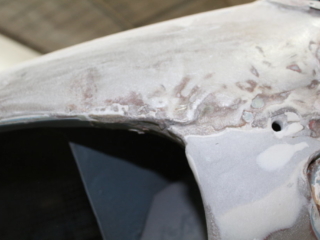 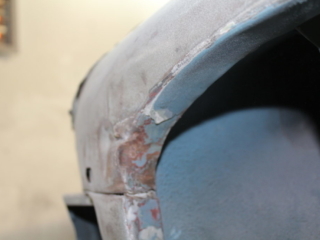 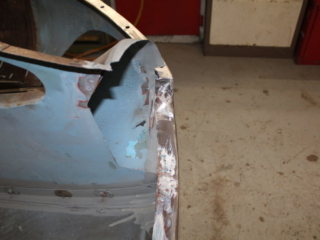 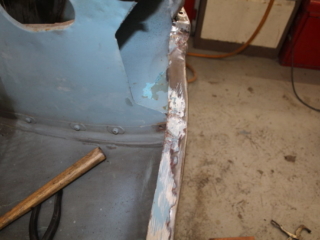 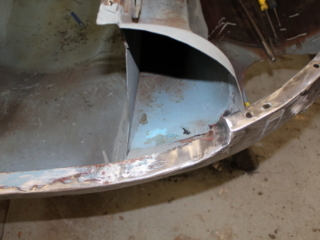 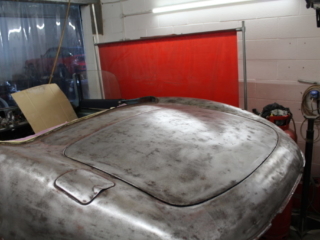 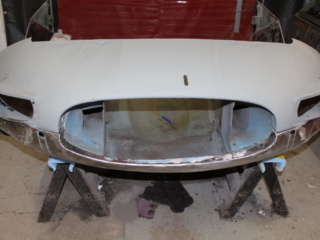 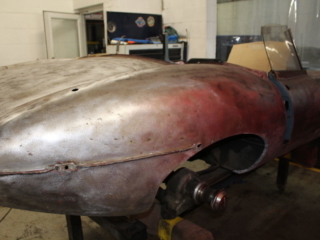 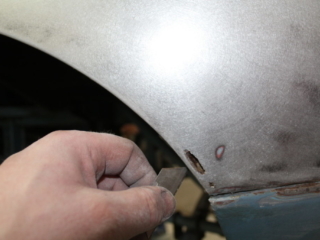 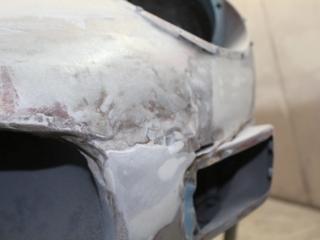 We now have the front bonnet section back from dipping and ready for our fabricators to repair the rust damage. 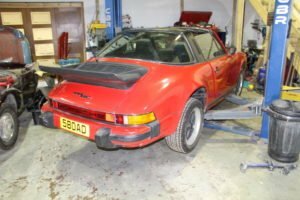 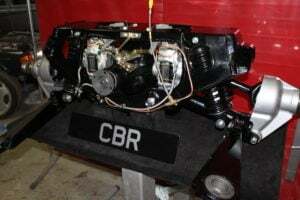 we have now progressed to cleaning and assessing parts in preparation for the rebuild as well as detailing the engine ready for assembly. 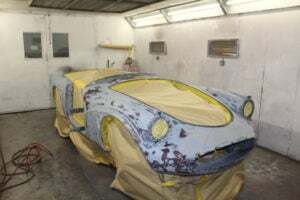 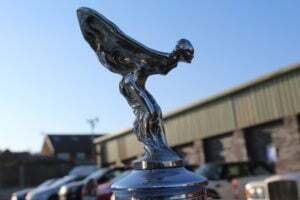 As usual we will keep updating this post with new pictures as the work progresses so pop in from time to time and check on progress.